I believe the part 1 has helped you to understand more about the remote desktop installation. Now let us see more about the detailed configuration of RDS. This is the user interface that the client will interact with. In order to access this at first time you can Start->Administrative tools->Remote desktop services-> Remote desktop web access configuration. It will open the web page and when you login as an administrator user, there are three tabs to look at namely RemoteApp programes, Remote desktop and configuration. 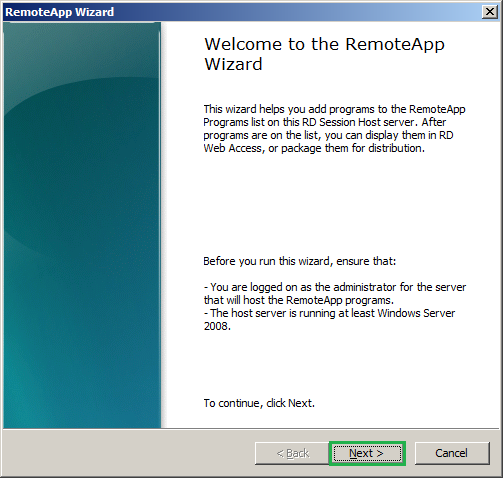 RemoteApp programes- Here is where the users can see and access their virtualized applications. These applications are defined by RDS administrators. 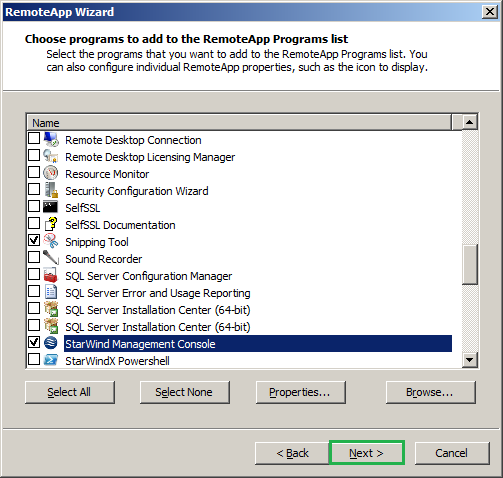 Remote desktop- When you are accessing the remote desktop service from outside your network, you may need to get the services other than the virtual application. 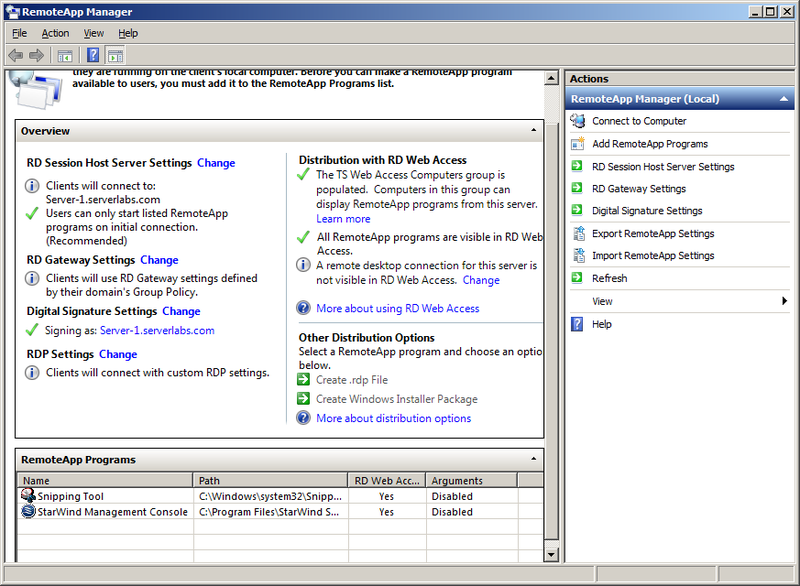 In this case you can remote into other computers that are allowed though RDS and its data based on the Remote desktop resource authorization policy(RD RAP). 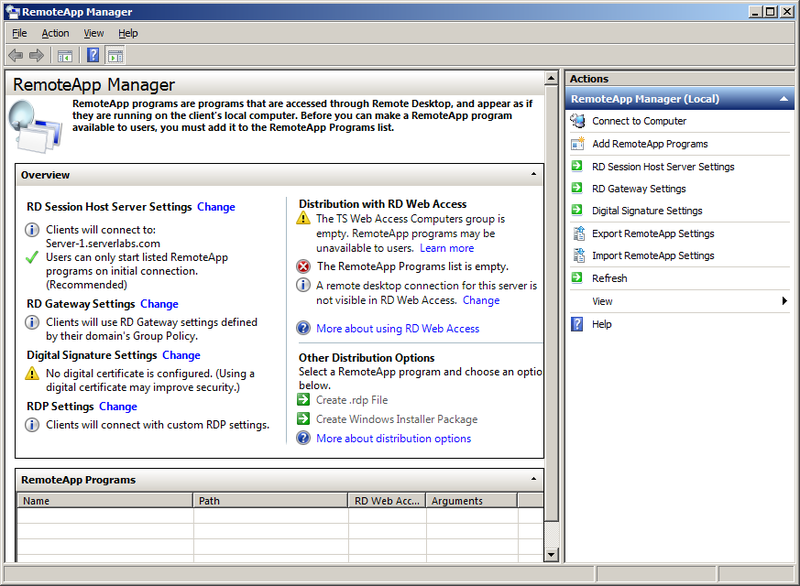 Configuration- Use these settings to specify the source that provides the RemoteApp programs and desktops that are displayed to users through RemoteApp and Desktop Connection. 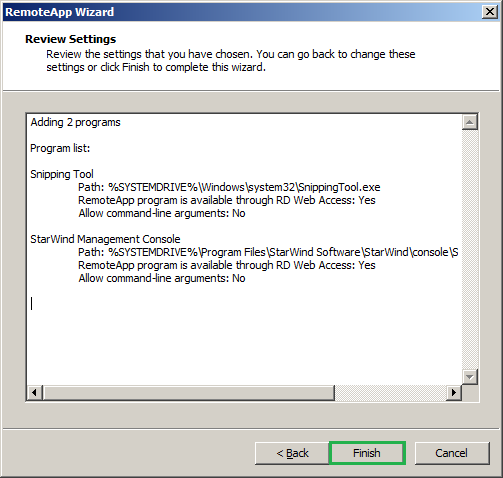 Users can access RemoteApp and Desktop Connection through the Start menu on a computer that is running Windows 7 or through the RD Web Access Web site. Note that this can be edited only by administrator users. 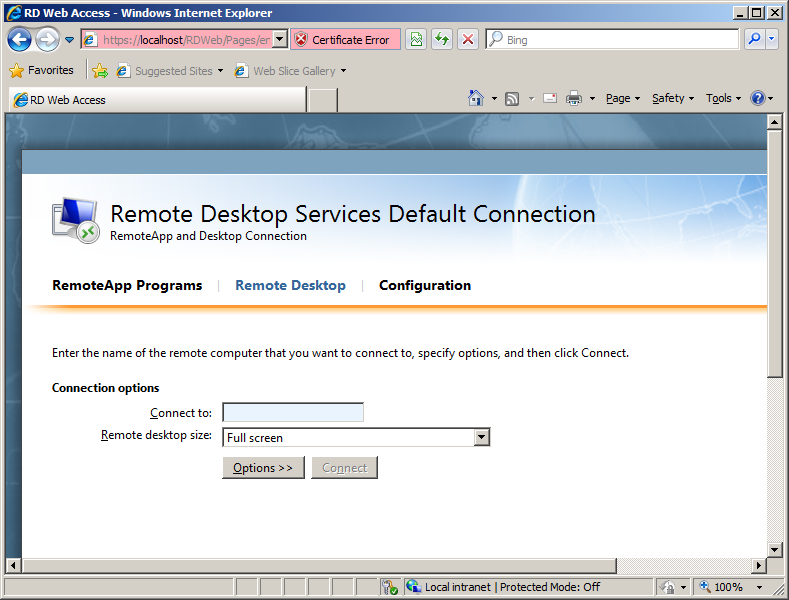 You can Open it from Start->Administrative tools->Remote desktop services-> Remote desktop web access configuration. Initial stages of this will have some warning and error messages as below and this is because we have not defined some settings and below steps will help you to overcome those. 2.1. 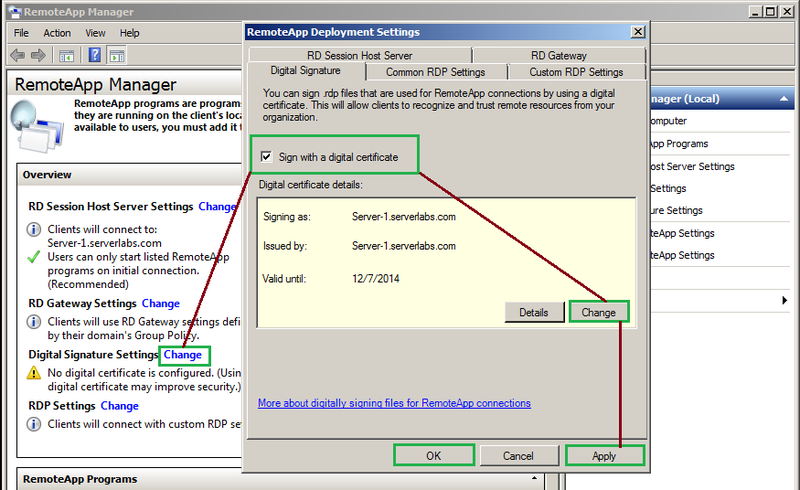 Consider the Digital signature settings, This warning message is because the SSL certificate is not defined and it can be achieved by clicking Change-> Tick the check box Sign with digital certificate-> Under digital certificate details click Change. It will automatically list out the certificate that are installed on your server's certificate, select the desired one and press OK. Once done click Apply->OK. 2.2. Distribution with RD web access- The warning message is because the TS web access computer list is empty. You can add the computers that are going to access the applications remotely. If you have installed remote desktop service in an active directory server you should add the computer group in Active directory users and computers. Open active directory users and computers-> From the container Users and double click on TS web access computers->Members->Click on Add button and specify the computers that are going to access remote desktop services. Click Apply->OK(If remote desktop service(RDS) is installed on a member server you need to add the computer details on the Local users and groups). Now get back to the screen of remoteapp manager and click refresh. Now you can see this warning message also resolved. Select the applications that are required to allow for users remotely and click Next.